You’re sweet, i.e. you haven’t flashed your cooter in public yet. You seem grounded, i.e. you haven’t gone to rehab or gotten preggo. And there’s something beautiful about the fact that you’re this teeny girl trying to save some of the largest mammals on Earth. But what the heck is up with your fetish for losers? I know that in your real, non-Heroes life, you’re pretty busy getting out the youth vote, saving whales in Japan, y’know regular time-consuming stuff! Can you do us a quick favor? Put a little extra juice into domestic issues for the moment. You like whales, clearly. Can you help us figure out why President Bush seems to like Naval combat training more than Southern Californian whales? I know fighting’s important and all but… anyway. Bat those pretty eyes and help us figure it out, will ya? ON THE BOBA RZULTS: Save the Whales! …all in the name of “whale safe” beer (still not sure what that is). So save the whales, dammit! 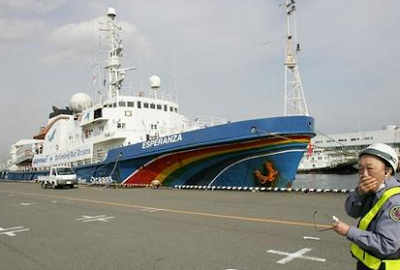 And read the latest update on the Australia v. Japan whaling showdown here. Things are heatin’ up over thurr in Australasia! The Japanese government has announced that a mission dispatched to kill 50 Humpback whales for scientific research has been halted, as a result of worldwide criticism and pressure. Japan dispatched its whaling fleet last month to the southern Pacific off Antarctica in the first major hunt of humpback whales since the 1960s. 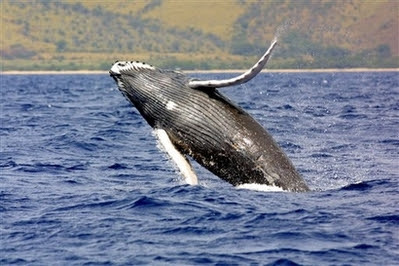 Commercial hunts of humpbacks have been banned worldwide since 1966, and commercial whaling overall since 1986. The fleet was to kill 50 humpbacks for scientific research. But the plan generated immediate criticism from environmental groups, which oppose the hunts to begin with but were outraged by the inclusion of humpbacks because they are so rare. We love scientific research as much as the next Asian, but we have to applaud the choice to hold back on our beloved endangered species. Whale played! Hold on a sec. They look so…earthy and…wholesome. Why aren’t they giggling? Why aren’t they flashing their cooters? Impostors! Liars! Frauds! Because this is what a School Girl really looks like, right? Pervs of the Universe–I know you’ve got my back on this one.